Bracelet is water proof but please use caution in chlorinated/acid pool and ocean/salt water. The chemicals and deposits may remove enamel emblem color or tarnish lobster clasps. 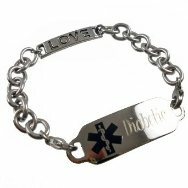 Price above includes: FREE ENGRAVING, one Deluxe stainless Medical Tag and interchangeable chain strand. 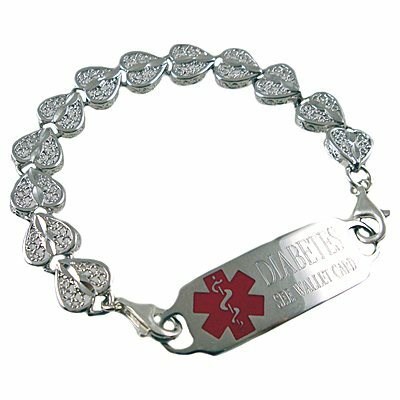 Price includes: One Deluxe stainless medical id tag with etched engraving and interchangeable beaded strand, two lobster clasps.